Lightning Training Solutions deliver a wide range of practical and online courses to UK based Corporations and individuals. Our Modern-Day approach to training is both personal and flexible, offering a UK-wide service that can be undertaken at the clients premises, 24 hrs a Day, 7 days a week. Our staff are professionally qualified with more than 25 years experience in training, along with practical frontline experience, gained from working in actual emergency situations within the Military, Emergency Services or National Health. We offer training courses that are geared to give individuals the confidence and knowledge that enable them to handle emergency situations when they occur. The first minutes during an incident are of utmost importance in which to stabilise a casualty, administer life saving care and provide the essential support prior to the arrival of Emergency Services. The professional team at Lightning Training Solutions provide a selection of first aid and health and safety courses to customers and clients across Somerset and the surrounding areas. Lightning Training Solutions are home to a range of professional, cost effective consultancy services, all of which are tailored to meet your specific needs. So, should you be a company or individual, our team of qualified health and safety experts can help. Call for a FREE quote today. The Quality Management system at FAIB holds 3rd Party Certification via a United Kingdom Accreditation Service (UKAS) Accredited Certification Body. Having a range of experience in health and safety principles and processes, which are both well-founded and well-practised will help you to retain staff, improve safety costs and demonstrate your company as a caring and responsible organisation. At Lightning Training Solutions in Somerset, we aim to deliver successful, efficient and cost-effective training to customers and clients across the surrounding areas. We’re committed to ensuring that this investment is made of the most of, whether you’re an individual or a company. What’s more is we take pride in making sure that we only provide the highest standards in every aspect of the services we provide. As well as having a fully equipped training centre in Somerset, at Lightning Training Solutions we can also train at your workplace, taking the hassle out of you coordinating your team to our training venue. We provide our training courses to a range of industries including schools, factories, small businesses, emergency services, leisure industry and many more. Our staff are professionally qualified with more than 25 years experience in training, along with practical frontline experience, gained from working in actual emergency situations within the Military, Emergency Services or National Health. 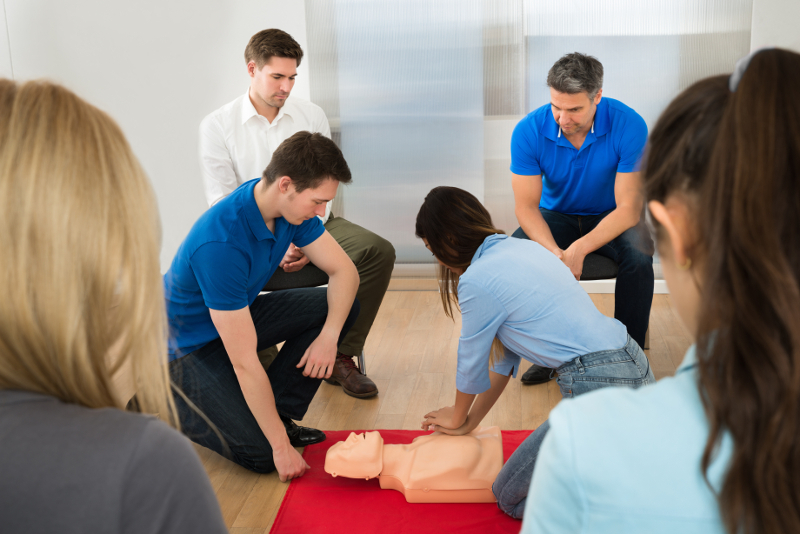 We offer training courses that are geared to give individuals the confidence and knowledge that enable them to handle emergency situations when they occur. The first minutes during an incident are of utmost importance in which to stabilise a casualty, administer lifesaving care and provide the essential support prior to the arrival of Emergency Services. Be the first to hear about the latest news, updates and offers.